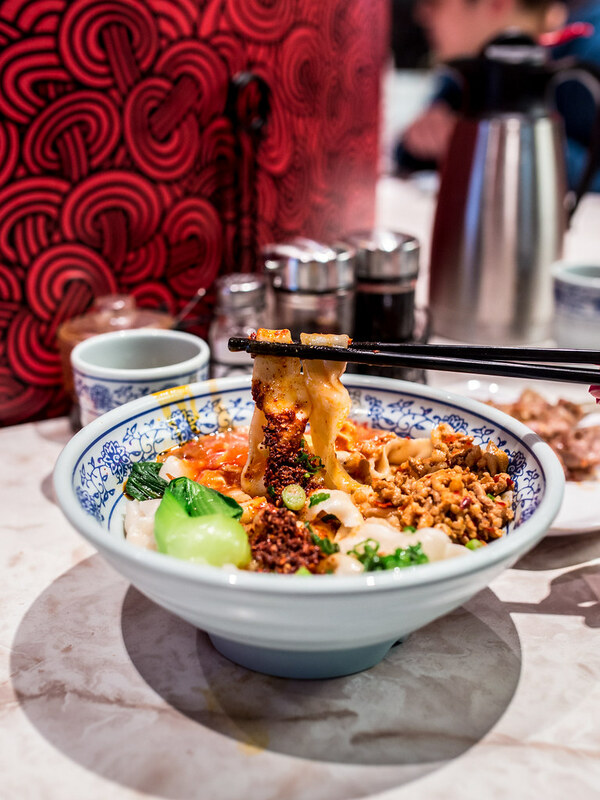 I like to believe a growing new Toronto food trend is Chinese hand-pulled noodles, one of my all-time favourite comfort foods. 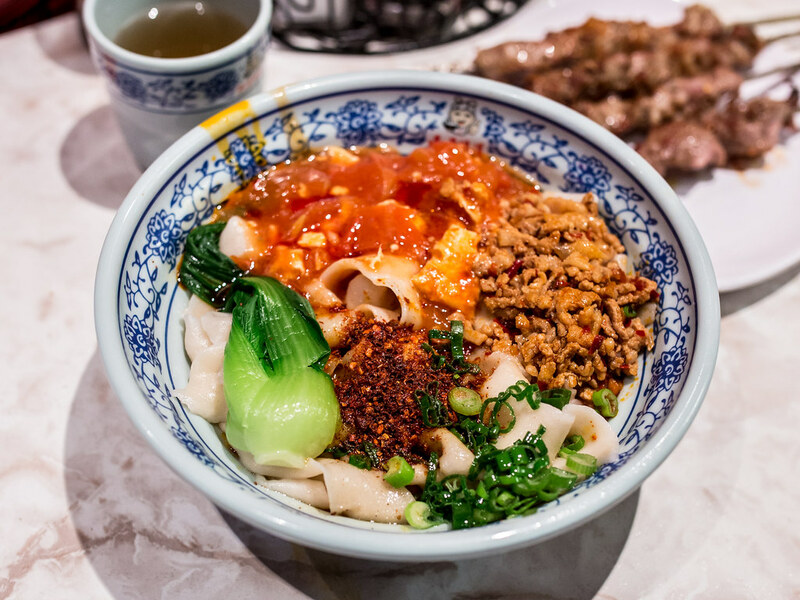 With the success of restaurants like Magic Noodle (despite recent rumblings of a decline in quality and consistency) and Artisan Noodle, I was happy to hear about a fresh China import specializing in Northern Chinese cuisine, Qin Tang Taste. 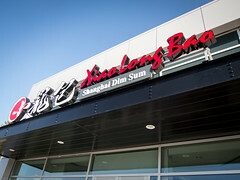 Atmosphere: Qin Tang Taste is a popular chain of restaurants in Northern China and the Scarborough location is their first North American venture. Even late on a Saturday (9pm), the restaurant had a queue of diners waiting and it took us 30 minutes to get seated at bar seats. The majority of tables were booths for large groups, occupied with families, or small tables for two. 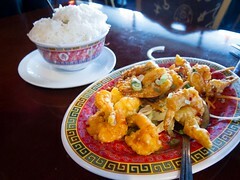 Like most busy Chinese restaurants, servers hustled through the dining area and there was a sense of hurriedness. Customers were there to eat, not linger over their meal chatting. Service: After sitting down, a server came by with tea, cups, utensils and an ordering sheet. Unfortunately, the English translations on the ordering sheet were abysmal (noodles with meat or noodles with meat). I even turned to Instagram attempting to track down the Chinese characters that corresponded to the dishes I wanted to order. In the end, I ordered verbally in Mandarin, which was good because none of the dishes I had marked on the sheet were what I thought they were. Food arrived quickly and with the servers running around, it wasn’t too hard to get someone’s attention. At one point, I watched the servers pour a giant bowl of noodles into a pot someone had brought from home to transport his take-out order. 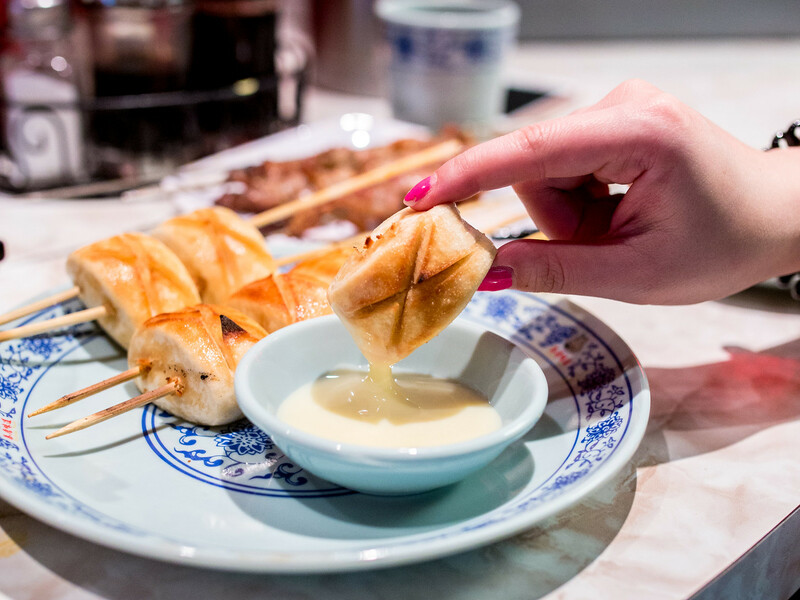 Food: Between the two of us, The Hubby and I split an order of grilled lamb skewers, bowl of Biang Biang Noodles and grilled mantou with condensed milk. 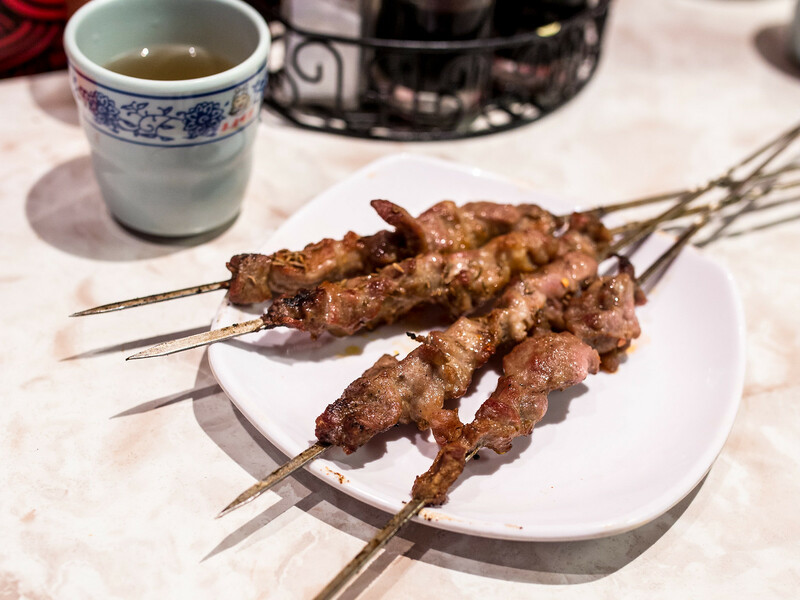 I am a big fan of lamb skewers and the ones at Qin Tang Taste had the perfect seasoning. The meat was lightly charred and tender. Another special menu item was lamb skewers cooked on wooden sticks instead of metal ones; a dish I’m interested to try next time. The true reason I was there though was to satisfy my craving for Biang Biang Noodles. 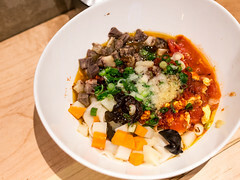 Normally, I prefer my noodles soupy vs. dry, but the combination of tomatoes, egg, minced pork, Sichuan peppers and chili oil may convert me. 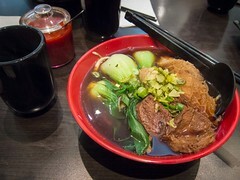 At Qin Tang Taste, the thick belt noodles were chewy and satisfying. I did find the pepper and chili oil at Artisan noodle more fragrant but this bowl still hit the spot. 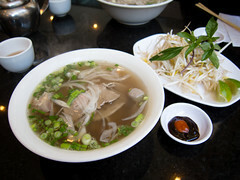 When ordering noodles, most bowls come in small or large size, with the large bowls being giant. One large bowl could easily feed 4-5 people. For dessert, the grilled mantou with condensed milk was a little greasy, but delicious. Crispy on the outside, soft on the inside and who can resist condensed milk? I also liked seeing a dessert item on the menu at a Chinese restaurant.